Your chance to participate in developing an exciting new book! Considering challenges of today's digital communication revolution, world peace seems to hang in the balance. 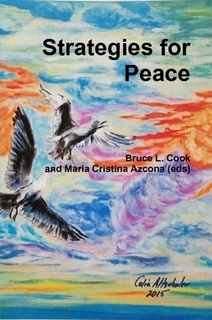 This book balances the roles of education and communication in creating a worldview which promotes world peace. Need: Too often our media fill us with fear. It is important to develop educational strategies to replace fatalistic attitudes with transparency and optimism. While this might be done with educational content, it’s equally important to re-examine the context in which education is delivered. 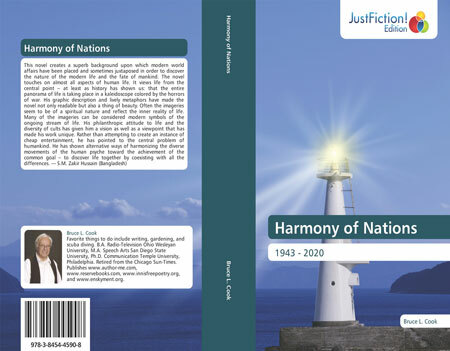 This text will examine problems and opportunities in the ways education can contribute to global peace. Separate analysis examines changes in today's communication context which have the potential to enhance or hinder efforts supporting global peace. Against this background, specific changes in education and communication are suggested. Additionally, problems of parenting and family violence are considered, along with sociological and psychological barriers to peace in today's world. Conflict resolution is seen as one method to solve these problems and minimize the threat of nuclear war. Please follow steps these steps to propose or submit a chapter for this book. 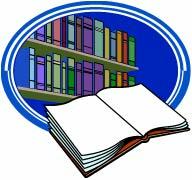 This page on ReserveBooks.com provides a guide to submitting chapters for a book being developed by IGI Global using their Editorial Discover system. For clarification, please write Dr. Bruce Cook at cookcomm@gmail.com. To have a chapter included, it is necessary to submit using this process. I can't do it for you, sorry! Sorry, chapters are no longer being considered for this publication. Once you receive approval for your proposal, follow the directions in the approval email you will receive. Here are detailed instructions if needed. Click here to submit the chapter. Please note that your submission will require five steps. It is a five-step process and you won’t be uploading the actual chapter until you get to step three. (If you have included graphics, just proceed with the submission and I will help you prepare the necessary files.) In the first step, you check your chapter information, make any revisions necessary, and click "Save" at the bottom of the form. Once your chapter is received, I will soon send an approval. Then the Editorial System will assign your chapter to at least three reviewers anonymously, so they don't know who they are reviewing and, when you see their reviews, you don't know who wrote the reviews. At that point I will work with you to make any necessary revisions. For extra help, if needed, IGI Global offers a discount on eContentPro. 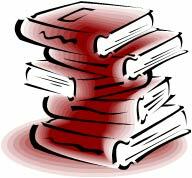 Typically, you will be asked to review other chapters to insure that the entire publication has highest qua;lity. Your prompt review will help those authors complete the process. In the same way, once three reviewers have evaluated your chapter, I can begin giving you feedback right away for the final version to be included in the book.